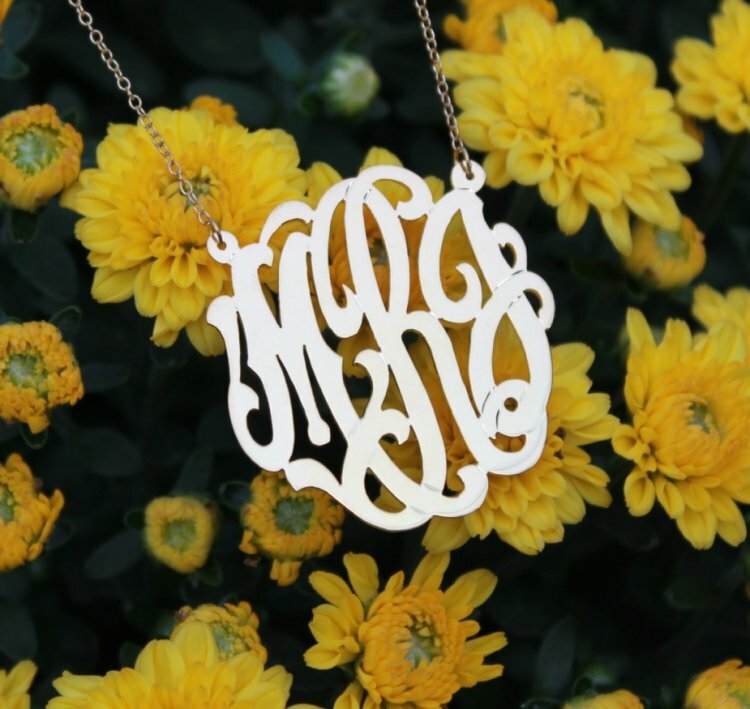 The Pink Monogram introduces the classic three letter, hand cut, interlocking script monogram necklace in your choice of sterling silver, gold plate (14 kt gold over sterling silver) or rose gold. 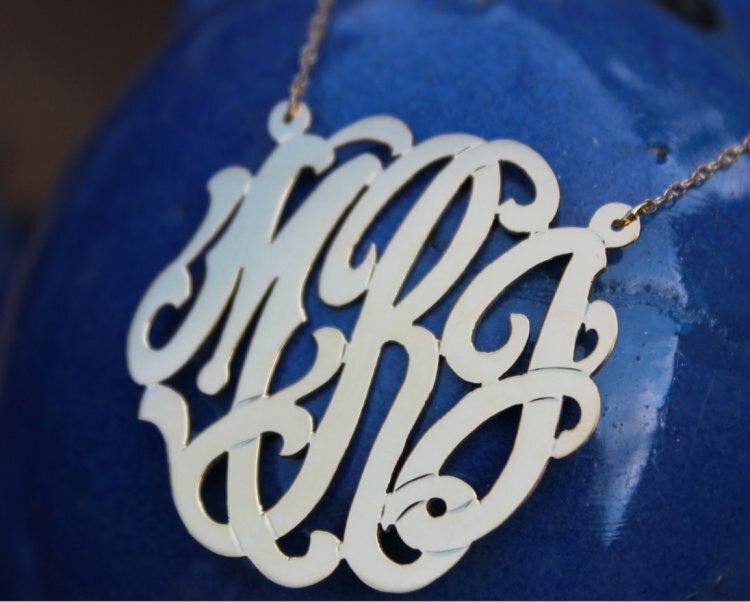 This pendant is available in 5 sizes ranging from 5/8" to 2". 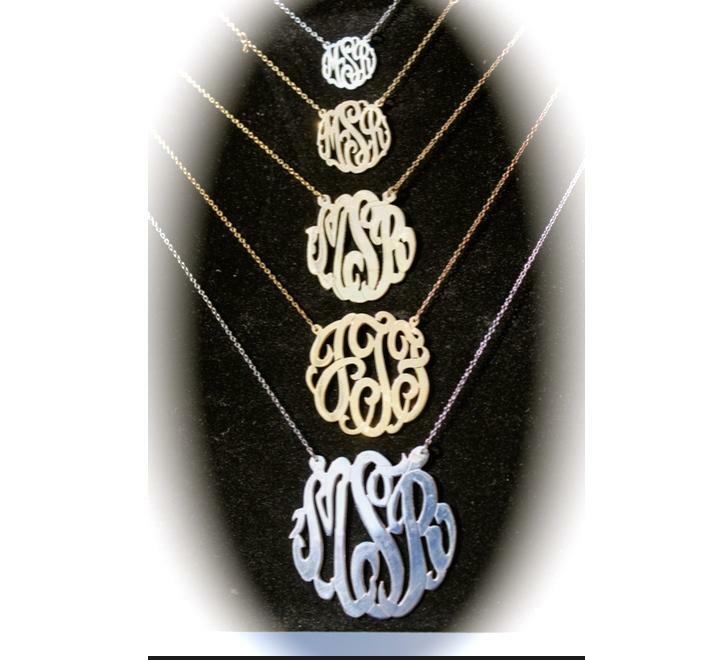 Necklaces are priced according to your choice of pendant size. 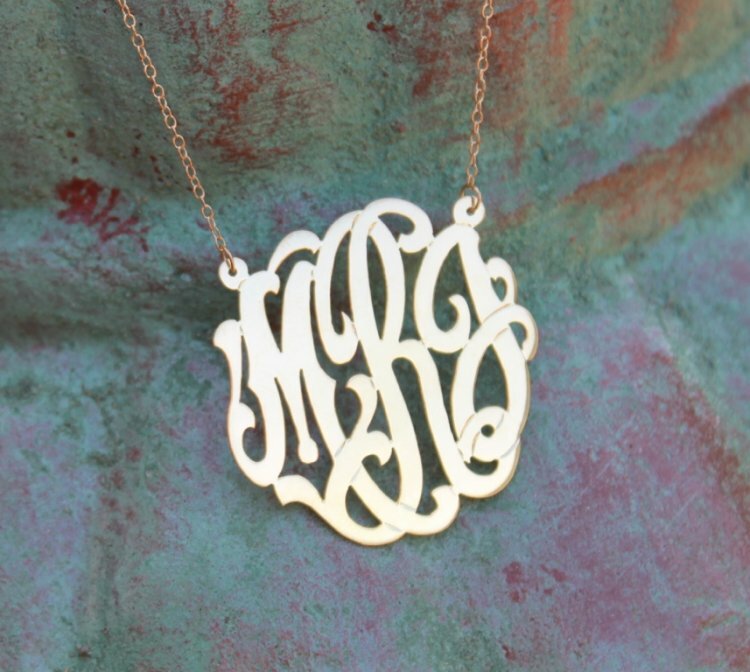 We do love the small 5/8" pendant but the classic 1-1/2" is our most popular. Your pendant will be made on a split chain as shown in the picture or on the center bale. Looking for a complete set? Matching earrings and other pieces are available in the Hand Cut Jewelry gallery. Please remember that gold plated jewelry must be properly cared for. We do not suggest using any sunscreens or lotions since they may tarnish the gold overlay. Please use a soft cloth to clean your necklace. In stock! - Browse this brandOur products are custom made to your specifications. This product ships up to 3 weeks after your order is placed. Choose your chain style. If you choose a center bale a chain is included with this order. Please choose your size for your pendant.